Paradox Interactive’s annual convention, aptly named PDXCon, will be moving from the company’s hometown of Stockholm to Berlin next year. Paradox announced the PDXCon 2019 location and dates in an announcement Friday. It will be the third convention Paradox has thrown, and once again it’ll be the venue for a host of announcements, presentations, and grand strategy fun for everyone. The 2019 convention will be later in the year in 2019, running October 19 and 20. Berlin is about a 12-hour drive south from Stockholm, and it’s certainly more central to mainland Europe, making next year’s PDXCon a quicker trip for fans in France, Poland, Belgium, the Netherlands, and just about everywhere else on the continent. 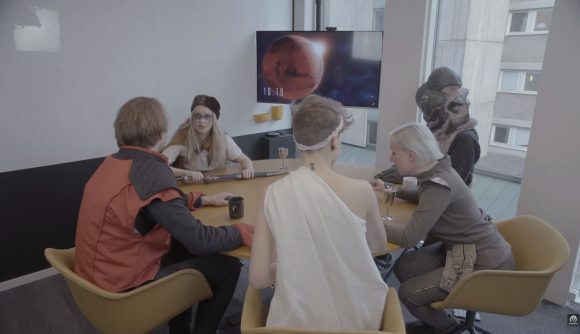 Paradox CEO Ebba Ljungerud said the company plans on making next year’s convention the biggest one yet. You can sign up for news about early bird ticket sales at the official site. Logging in with your Paradox Plaza account and signing up for email updates will provide notification of when tickets go on sale, and you’ll have a chance at getting in line for them early. As ever, it’s set to be a fan-centric event. Apart from new game and DLC announcements, there will be areas for board games, LAN matches with developers, and apparently karaoke with people in creepy horse masks. What’s not to love?